Treat your family and guests to the luxury of warm towels, throws and clothing. 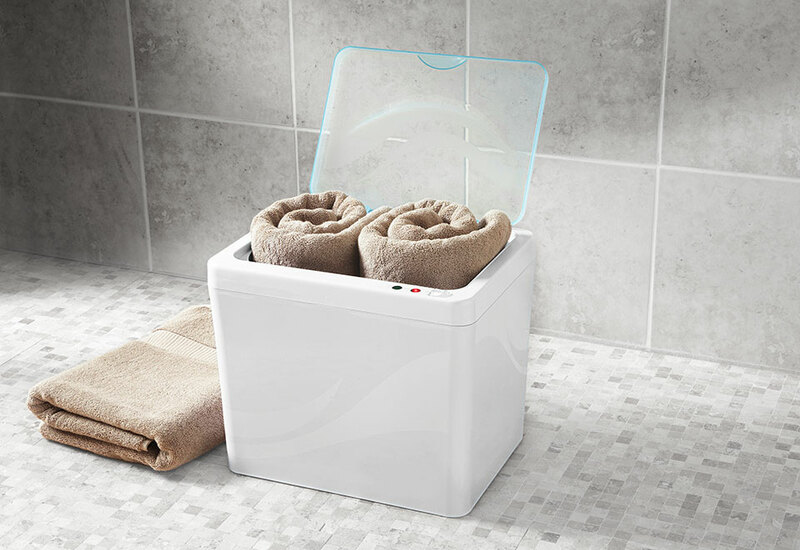 The amazing Towel Warmer is light and compact, so you can use it practically anywhere, including the bathroom, bedroom, mudroom or front entryway. Simply plug it in and insert your garments. In just 20 minutes, they'll be warm and toasty! 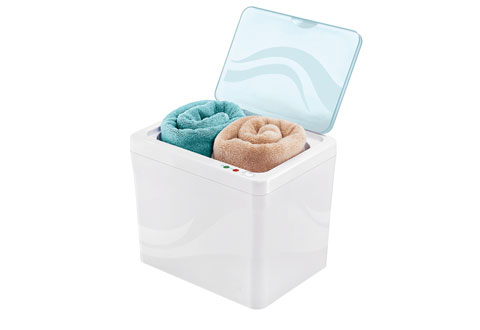 Holds up to two large (40"x70") towels, or many more small garments, like pajamas, socks, mittens, scarves and ski hats. Elegant white finish. Shuts off automatically for safety. Take the chill out of winter mornings and nights with the 20-minute Towel Warmer. Just plug it in and warm up your towels, blankets, socks or other clothing. It makes anything warm and cozy.